The Xiaomi Redmi Note 5 is a worthy successor of the one of the best midrange smartphones, Redmi Note 4. With a brilliant bezel-less display, a power-packed processor, an exceptionally long battery life, and an improved camera, the Redmi Note 5 is worth every paisa it costs. 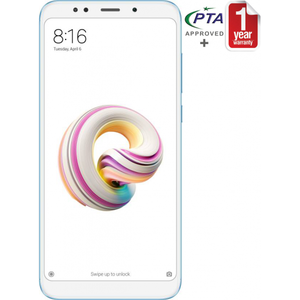 The Lowest price of Xiaomi Redmi Note 5 in Pakistan is Rs. 29,999, and estimated average price is Rs. 35,166. The prices are collected from the best online stores in Pakistan like Shophive, Savers.pk, Qmart.pk - updated Apr 2019. 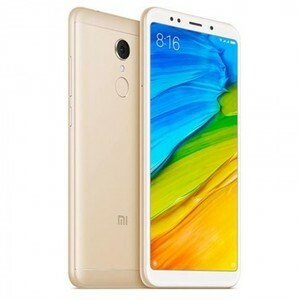 The Xiaomi Redmi Note 5 is the successor of Xiaomi’s most popular smartphone in 2017 i.e. Redmi Note 4. As with its predecessor, the Redmi Note 5 is a powerhouse and manages to outperform smartphones with a much higher price tag. The excellent build quality, improved camera, and beautiful thin-bezel design are the highlights of the Xiaomi Redmi Note 5. The Xiaomi Redmi Note 5 further improves the design of the Redmi Note 4 by pushing the bezel even further back. The 5.99-inch FHD display provides an excellent contract with good blacks and an impressive brightness. Overall, the display is sharp and it is one of the best displays you will find in the midrange price. As for the design, the thin bezels and the minimalistic unibody of the Xiaomi Redmi Note 5 make it an eye-catching smartphone. The aluminum frame and back of the Redmi Note 5 ensure that the smartphone is solidly built and is resistant to falls and accidents. 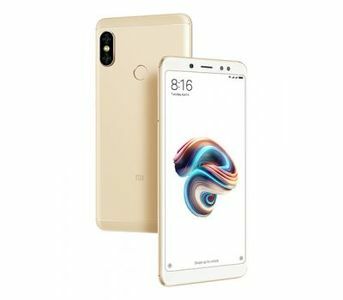 Featuring the Qualcomm Snapdragon 625 with an Adreno 506, the Xiaomi Redmi Note 5 is a contender for the best midrange performer for 2018 as well. The smartphone experiences little to no lag with multitasking and can smoothly run games as well. You can browse the internet, listen to music, and text message simultaneously without annoying lag. The benchmarks for the smartphone are 1226, 10484, and 63019 in Basemark OS II 2.0, Basemark X, and AnTuTu 6. The camera was perhaps the weakest point of the Redmi Note 4 and Xiaomi looks to improve that with the Redmi Note 5. The 12MP camera on the back produces sharp images which are detailed and the images quality is actually quite good. The colors are a bit too warm but overall the results are much more pleasing with the Xiaomi Redmi Note 5 than its predecessor. The 5MP front camera is quite basic but it can produce images with pleasant colors and good contrast. The battery life of the Redmi Note 5 is very impressive. The smartphone sports a huge 4000 mAh battery which has an endurance rating of 104 hours. You can easily churn out 1.5 days of moderate use with the smartphone which includes web browsing, video playback, and calls. Though there is no fast charging, the Redmi Note 5 does support 5 V/2 A charging which means you can charge the smartphone to full in under 2 hours with a standard 2 A charger. 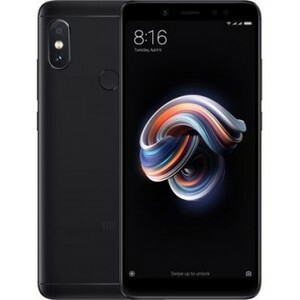 In terms of connectivity, there is Bluetooth 4.2, Infrared, FM Radio, and microUSB 2.0 so the Xiaomi Redmi Note 5 has just about all ends covered for you. There is still no NFC though but you cannot complain for the price. Exceptional performance – smooth and lag-free experience. Much better camera than the Redmi Note 4. Excellent battery life with 5 V/2 A fast charging support. No Corning Gorilla Glass protection.